Best known for their iconic brand of bitters, this Trinidadian company also boasts an excellent range in rums. A distillery with a long history, and extremely well respected both in Trinidad and Tobago and abroad. Drinkers should expect notes of chocolate, caramel, vanilla with delicious tropical fruit flavours, and the distillery is known for a light, fragrant style. Angostura produces a largely light rum using strictly Trinidadian molasses. Ever the sticklers when creating their product, all the molasses have to be inspected in a laboratory for quality. Angostura uses a gigantic, colour-coded and multi-column still, which towers over the rest of the compound. Compound is an apt word, as Angostura is something between a distillery and a factory. Yet this is no reflection on their products, which is certainly not industrial in any sense, but subtle and delicious. The water that Angostura uses also must pass a stringent inspection, where it is filtered and demineralised before being used. Angostura ferment their molasses using a special, proprietary yeast strain in large vats behind the still for 24 hours. This liquid is then placed in the still and distilled to an ABV of between 75 and 95%, and drawn only from the first and the last columns. The columns produce both light and heavy rums, which allow Angostura to carefully blend with constituency the final product. Angostura is one of the most sophisticated distilleries in the Caribbean, and the whole process is carefully monitored. This is because the heat, humidity and changeable weather of the West Indies means fermentation and maturation can be effected. Before maturation the spirit is sealed off in large stainless steel tanks to prevent excess aeration. The distillery casks the majority of it spirit in former Bourbon casks, but significant quantity finds itself in old Scotch casks. Before blending and bottling, the rums are filtered and quality tested at random. Whilst Angostura bottles most of this spirit themselves, a lot is sent to blenders around the world to use in their rums. Angostura also create Fernandes rum onsite, particularly popular on Trinidad, with some swearing fealty to the brand over Angostura, despite the fact they are produced at the same distillery with the same still! 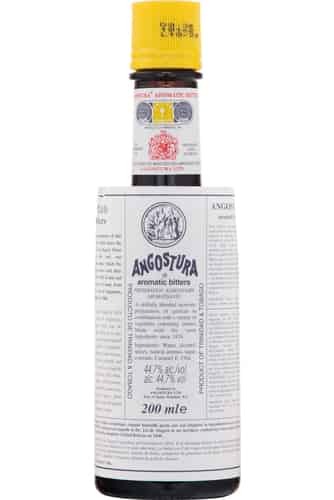 Angostura first began to make rum at the 20th Century, starting off with a single French Savalle still which could only produce a little under five and half thousand litres of pure alcohol a day. These days the distillery can make a whopping 65,000 litres of pure alcohol a year. Angostura ships to over 165 countries worldwide, and are recognised both for the quality of their world-famous bitters, and their fabulous rums. The proud House of Angostura has broadened its scope into hospitality too these days, with a sprawling 20 acre complex which is open for visitors. This includes a dining room, a museum, an art gallery, a theatre, and a spirits outlet shop, alongside several large hospitality suites. Truly a broad and ambitious company, Angostura’s rums remain at the heart of what they do, and are fit to carry the name of the famous brand. Johann Gottlieb Benjamin Siegert was a German surgeon general in the Venezuelan army under the great liberator Simón Bolívar. He developed his bitters as a tonic to aid digestion and improve appetite, after much trial and error. The bitters were made of a blend of tropical herbs and botanicals, and he eventually called it "Amargo Aromatico" (which translates as aromatic bitters). At the time he was living in the town of Angostura (now called Ciudad Bolívar) in Venezuela, and it is this that the bitters are named after, not the medical plant Angostura bark, which does not feature in its ingreidents. What initial began as a home remedy for the surgeon’s friends and family became an international operation, as his bitters were exported to Trinidad and England. By this point, Siegert had resigned his post in the Venezuelan army, so he could utterly devote himself to manufacture and promotion of his bitters, which was none unable to meet the great demand. Angostura bitters were exhibited at the International Exhibition of this year, held in London, where they received widespread acclaim. Siegert dies, leaving the company to his son and younger brother. After consideration, Siegert’s sons Carlos, Alfredo and Luis decide to move the operation to Port of Spain, the capital of Trinidad. As the golden age of cocktails took hold (with the recipes for Old Fashioneds, Manhattans and Pink Gins calling for the bitters), demand increased for Angostura bitters across the world. Around this time the company enters the rum market, buying rum from other companies and bottling it themselves. Carlos dies, with Alfredo and Luis taking over the running of the firm and protection of the secret recipe to make Angostura bitters. In this year, the company became the appointed providers of aromatic bitters to the King of Prussia. King Alfonso XIII of Spain also appoints Angostura to provide the Royal Household. J.G.B. Sieger & Hijos (the trading name of Angostura) is floated on the stock market in England. 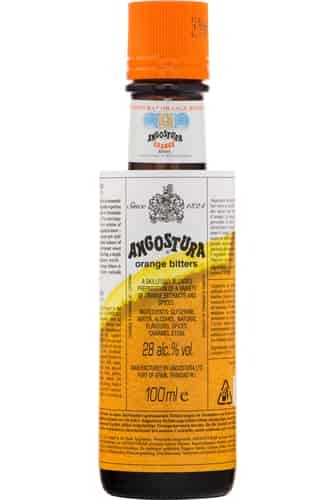 King George V follows the example of the Kings of Prussia and Spain by requesting that Angostura supply the Royal Family with bitters. The company officially changes its name to Angostura Bitters. Robert Siegert, a relative of the founder, and a chemist, joins the company heightening their understanding and expertise of distilling and fermenting. Albert Clyde Gomez, a sugar expert begins working at Angostura, furthering their mission to make rums. Thomas Gatcliffe, another chemist, and Angostura was finally in an adequate position to begin creating rum. Angostura spent years intensively studying the arts of distilling and fermentation. Finally satisfied with their knowledge, the company decided to begin distilling themselves, building started on a large, cutting edge distillery to create rums of a quality that matched their bitters. The company changes to Trinidad Distillers Limited (TDL). King Gustav VI Adolph of Sweden requests that Angostura supply him with bitters. Elizabeth II of England follows her forefather George V in appointing Angostura to make bitters for her. Angostura now exports bitters and rum to 140 countries. Trinidad Distilleries wins the Prime Minister’s Exporter of the Year trophy, becoming the first non-oil company to do so. The company acquire the Fernandes rum brand. Angostura wins Trinidad’s highest national honour, winning the Humming Bird Gold Medal for its outstanding contribution to industry on the island. Angostura is the preeminent bitters company across the globe, but is increasingly known for its fine rums, which continue to impress at competitions worldwide. The company now exports to 165 companies.